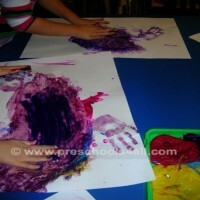 You might be surprised to find paint splatter activities under the academic category. Don't be. 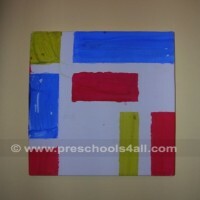 Painting is essential for the development of your preschooler. By playing with paint, touching it and learning it's texture your child is developing the tiny senses at the end of their fingertips (or feet) as well as creativity, imagination, hand eye coordination and motor skills. Some parents do not mind the mess but others do. If you are in the second group I highly recommend wearing a paint smock for most of the activities below. Holding small objects such as marbles help develop children's fine motor skills. This activity can also be done in partners. Each child has one marble and one color to dip it in. Working together helps children develop both their communication and social skills. 1. Let your child roll the marble in the paint. 2. Roll the marble on the paper. The end product can be so stunning you might want to frame your young artist modern art. In the past I also used it as fun wrapping paper. Homemade finger paint - Two simple paint recipes you can make at home. Using the elements - Did you ever consider painting with ice cubes and blowing air? Back to the basics - Amazing looking paintings using simple tape and string. 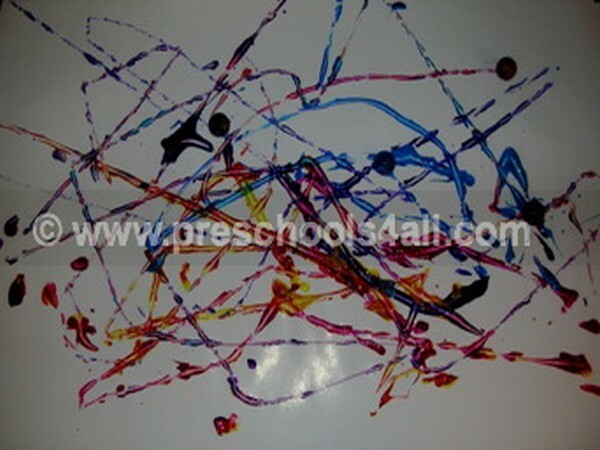 A dash of imagination - Creative painting activities with toy cars and spilled milk.